Senate Bill 1148, scheduled for debate on the floor of the Texas House of Representatives today, clearly states that hospitals and health plans cannot use maintenance of certification (MOC) to differentiate among physicians for payment, contracting, or credentialing. The bill prohibits the state from using MOC as a requirement for state licensure or renewal. It would, however, allow MOC requirements if facilities or teaching faculty need them for specialty designation or accreditation. The bill's author is Sen. Dawn Buckingham, MD (R-Lakeway). As a practicing opthalmologist, Senator Buckingham knows a thing or two about the bureaucratic hassles that get in the way of physicians taking care of their patients. SB 1148 stops the discrimination against physicians who elect to skip the burdensome, often-irrelevant, monopolistic MOC process. MOC claims to ensure quality, but in reality the components tested often are not applicable to medical practices. It’s a revenue generator for testing companies. So if you are wondering why the certifying boards are fighting so hard against SB 1148, remember, it’s all about the money. "It's a money-making operation," says Texas Medical Association President Carlos J. Cardenas, MD. 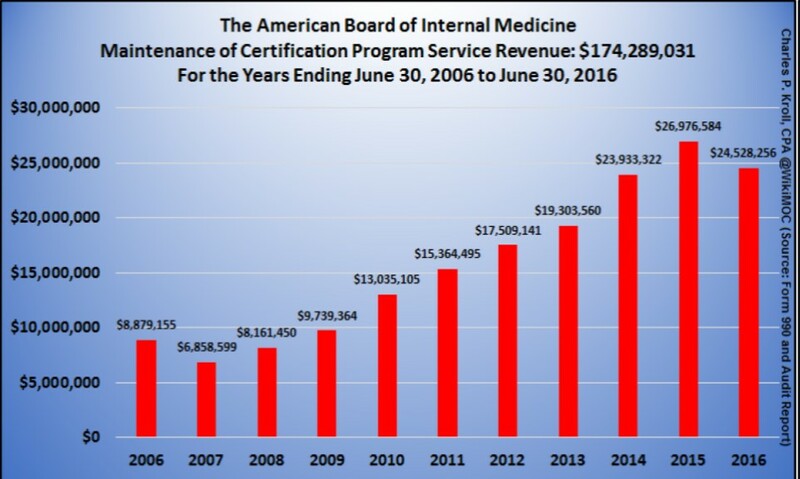 In 2014, MOC generated $27 million for the American Board of Internal Medicine (ABIM) (48 percent of total certification testing revenue, 44 percent of total revenue). 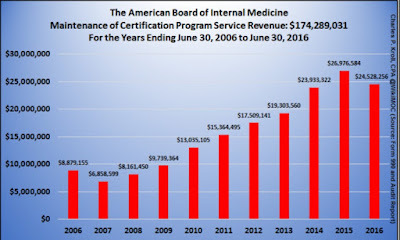 And, until the backlash really started to hit in 2015, MOC fees have been a steadily rising source of income for ABIM. And this is personal for the organization. ABIM’s reported staff expenses (salaries, benefits, and other) increased 53 percent from 2009 to 2016, to $34.1 million. 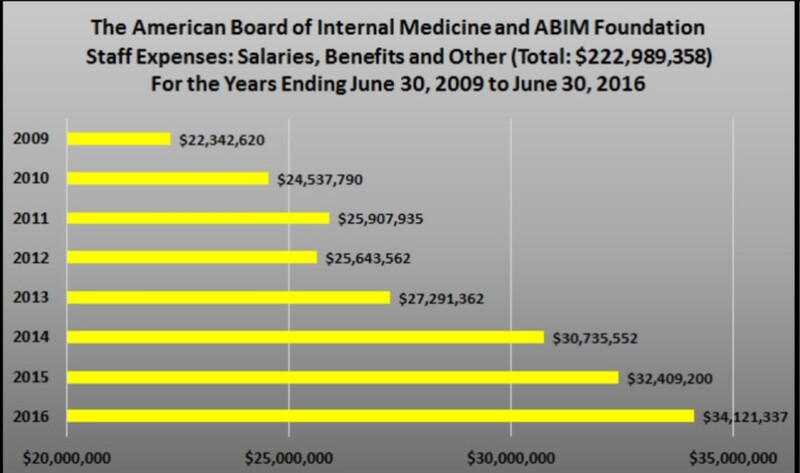 In 2015, ABIM spent $30 million on salaries and benefits and only $6.3 million on actually administering MOC. As of 2016, the ABIM’s staff retirement plan net assets were $27.1 million, double the organization’s $13.6 million total net assets. Mandatory MOC amounts to unnecessary overregulation of medicine. There is no proof at all that MOC improves patient care. Two peer-reviewed studies published in the Dec. 20, 2014, issue of the Journal of the American Medical Association compared physicians who had and had not completed MOC. Those studies found no differences in patient outcomes or in the number of hospitalizations that could have been prevented due to better quality of outpatient care. Almost all other published studies evaluate initial board certification, not recertification or MOC, and the rigorous requirements for initial certification should not be equated with the busywork required for MOC every two years. SB 1148 does NOT eliminate the state’s strict standards for physicians to earn continuing medical education credits to maintain our licenses. It does NOT change the status of, negate, or in any way minimize the initial board certification that physicians work so hard to achieve.